What happens when “Ole Palemia” is found? Will he be thrown in the dungeon as they did in the U.K. some 700 years ago? And so finally, it looks as if Prime Minister, Tuilaepa Sa’ilele Malielegaoi, has had enough of the “Online Hacker” who’s been gleefully calling himself, “Ole Palemia”. Indeed, it looks as if he’s made up his mind that “Ole Palemia” would be tracked down, and then when he’s found he would be severely punished, and be shown who exactly is the boss here. Over recent weeks, “Ole Palemia” has been sending out messages on the Internet where he’s been accusing the government of the Human Rights Protection Party, and Prime Minister Tuilaepa in paricular, of being corrupt. Indeed, he’s even gone ahead and accused the government of being seriously lacking in transparency and accountability, so that in his view he said an investigation was dearly warranted. And then as if that was not harsh enough, he went on and accused Tuilaepa of running the government as if it was a “dictatorship,” which - whether he was aware or not - was the one criticism that Tuilaepa would have found impossible to tolerate. Indeed, it was just what Prime Minister, Tuilaepa Sailele Malielegaoi, hated to hear. So that right away, not only did Tuilaepa reject the “dictatorship” comparison, he went ahead and announced that the Law of Criminal Libel that his government had abolished in 2013, would be revived. In any case, that was apparently how sick in the stomach he was about being told that his pride and joy, the government of the Human Rights Protection Party, was being run like as dictatorship. Clearly he did not accept that. Neither did he accept the claim that “part of the reason the Law of Criminal Libel is being revised today, is to restrict freedom of speech” in Samoa. What he accepts is that, freedom of speech will never be restricted while the government of which he is the Prime Minister, is in control. In hind-sight though, Tuilaepa said he regretted the decision to remove Criminal Libel from the law books, in the first place. So whose law is it? Well, all we know is that Criminal Libel is an old British law. “The abolition of sedition is long overdue,” said Geoffrey Robertson QC, who successfully defended Salman Rushdie in the last sedition case held in Britain, over Rushdie’s book, The Satanic Verses. The government’s admission that the law, which has been widely recognized as hampering freedom of press and political dissent, must change comes after increasing concern about clampdowns in other countries, including many states in Europe and the Commonwealth. “These common law offenses are anachronistic and their continuing existence, albeit seldom used, has been cited by other countries as justification for the retention of similar laws, which have been actively used to restrict media freedom,” a Ministry of Justice spokesperson said. Now that was the British Law of Criminal Libel in Great Britain in those days; it was, without a doubt, the enemy of freedom of speech, political dissent, and yes, free thought. And yet, sometime in the last decade, it turned up in Samoa. Later still, when Prime Minister Toflau Eti Alesana, passed away on 12 August 1999, it was abolished. And today, Prime Minister, Tuilaepa Sailele Malielegaoi, has revealed that the Law of Criminal Libel is being revived. One such page is known as “Ole Palemia”. “And yet the government has had enough,” a government statement said. 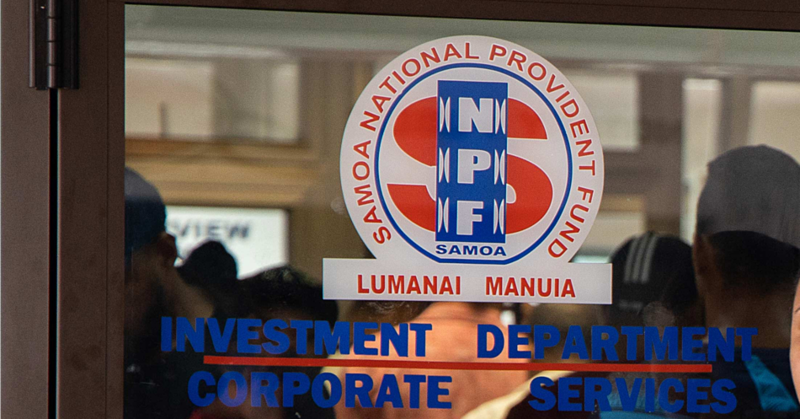 “Some of these postings could lead to violent confrontation which may eventually cause misery to families and government will not stand by any longer,” Tuilaepa said. Subject to approval by Parliament, the Prime Minister says the new act will ensure that the ghost writers will be brought to justice to answer to their writings. And they could be liable to be prosecuted with offenses that will include imprisonment. “The H.R.P.P. caucus is in full support,” Tuilaepa said. The ‘hackers’, added Prime Minister Tuilaepa, will be used by the government to track down the ‘ghost writers’. Now how are they going to do this anyway? It’s understood though that the proposed Act will be tabled in Parliament on Monday. Incidentally, what is Prime Minister Tuilaepa Sailele Malilelegaoi going to do to “Ole Palemia” and the “hackers” when they are found? Is he going to throw them in the dungeons as they did in the United Kingdom more than 700 years ago?